There are many topical analgesic creams available to help relieve pain, derived from the humble chili, most are in the form of capsicum. 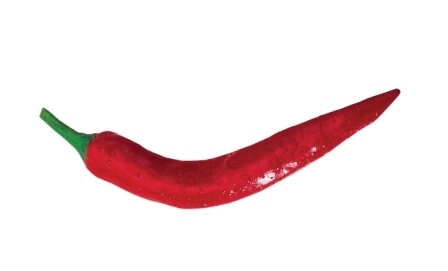 Capsicum can be found in products such as heat rubs (rubefacients). Capsaicin is also derived from chili peppers, and when purified works at a pharmacological level. Purified capsaicin is the active ingredient in Zostrix. It is important to not confuse purified capsaicin with other chili extracts, as they work in different ways and have different effects. Capsaicin appears to block pain transmission by reducing the availability of Substance P in the affected area, Substance P is one of the body’s principal “pain messengers”. By depleting Substance P, the pain decreases gradually – a process that will take time to achieve full effect. 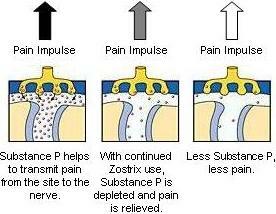 Pain decreases gradually with continued, cumulative depletion of Substance P over a period of 4 to 6 weeks. Do not apply Zostrix on broken or irritated skin. Avoid contact with eyes, mouth and other sensitive area.